At a briefing on May 12, 2010, Russian Foreign Affairs Spokesman Andrey Nesterenko spoke to journalists about the 65th anniversary of the Victory in World War II, Iran's nuclear program, and other international issues. RT presents the full transcript of Andrey Nesterenko’s briefing from May 12, 2010. The largest and undoubtedly the most important event of this year consisted of the celebrations of the 65th anniversary of the Victory in World War II. For us, it was the anniversary of the Victory in the Great Patriotic War of 1941-1945. Present in the celebrations in Moscow on May 9 to mark the 65th anniversary of the victory, which have already been rated as the most extensive in the contemporary history of Russia, were 31 heads of states and international organizations. They included the leaders of the member countries of the Commonwealth of Independent States, the presidents of Bulgaria, Vietnam, Israel, Latvia, Macedonia, Mongolia, Poland, Serbia, Slovakia, Slovenia, Croatia, Montenegro, the Czech Republic, Estonia, the Federal Chancellor of Germany, the President of China, as well as the CSTO Secretary General, the Chairman of the CIS Executive Committee and the Secretary General of the Council of Europe. The Guests of Honor in the celebrations were former Presidents Alfred Moisiu of Albania, Wojciech Jaruzelski of Poland, Stjepan Mesic of Croatia, who had been personally involved in combat operations against Nazi Germany in World War II, as well as former Romanian King Mihai I, now the only surviving holder of the Order of Victory. One hundred and fifteen Great Patriotic War and World War II veterans from 23 countries were also the Guests of Honor at the Moscow celebrations. Among them were heroes of the Soviet Union and participants of the defense of Moscow, Leningrad and Stalingrad and of the assault on Berlin. Some of them had taken part in the Victory Parade on Red Square in Moscow on June 24, 1945. 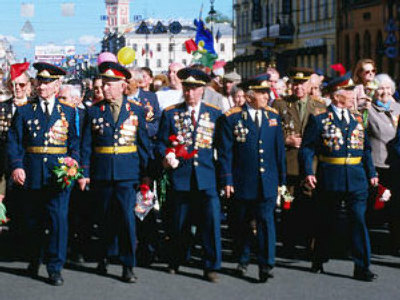 Military units of the armed forces of the CIS and the anti-Hitler coalition (US, Great Britain, France and Poland) marched in the Victory Parade for the first time. This was exclusively symbolic and has demonstrated once again that the Victory was and remains common to all of us. It also testifies to our shared commitment to defend peace and not to allow a review of the outcome of the war. Celebrations to mark the 65th anniversary of the Victory were held in all the embassies and missions of the Russian Federation abroad. At the UN venue, for example, on our initiative, a special solemn meeting of the UN General Assembly took place on May 6, which was attended by all member states of the organization. This constituted an important affirmation of the international awareness of the historical importance of the victory over fascism. 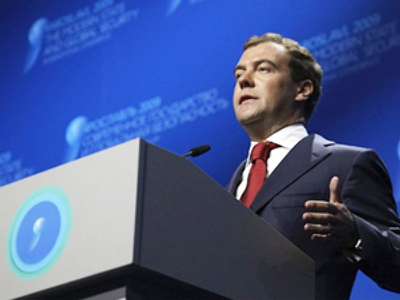 A Message from Russian President Dmitry Medvedev was read out at the UNGA meeting. There was adopted a separate statement of the G8 leaders in which May 8 and 9 were marked by the celebration of the 65th anniversary of the end of World War II in Europe and the victory over fascism. The international events in celebration of the 65th anniversary of the Victory in Moscow on May 9 represented the culmination of the anniversary commemorations and determined, for the large part, the atmosphere of these memorable days in many countries. The appeal voiced in the Russian capital on the day of Great Victory to remember the lessons from the war for the sake of cohesion and unity of nations and peoples in the face of new threats fraught with tragedies on a global level, and to defend a world order based on security, justice and a new culture of relations met with understanding and support in different parts of the globe. Nevertheless, against this favorable background it was impossible not to notice the deplorable acts related to the desecration on May 8 and 9 of the Soviet war memorials in Berlin. What attracted our attention were the obvious underlying political reason for, and the planned nature of this attack aimed at disrupting the commemorative events held in the German capital on the eve of the 65th anniversary of the defeat of Nazism. It is regrettable that the Berlin authorities responsible for providing for the security of the widely visited memorial complexes to the fallen Soviet soldiers had failed to take adequate measures to prevent malicious provocations, throwing a shadow over the policy of historical reconciliation of the peoples of Russia and Germany. This also applies to the lack of due promptness in removing the damage inflicted on the memorial in the Tiergarten, particularly with offensive graffiti. More detailed information on this subject can be found on the Foreign Ministry website. The visit of Russian President Dmitry Medvedev to the Republic of Turkey is drawing to a close today. Prior to this, the head of the Russian state visited the Syrian Arab Republic. Detailed information on this subject is posted on the Kremlin’s website. There have appeared reports in several media outlets recently about the Draft Federal Law concerning the Peculiarities of the Federal Civil Service in the System of the Ministry of Foreign Affairs of the Russian Federation, which has been prepared pursuant to the President’s instruction of July 16, 2008. The bill was concurred in by all concerned departments, received a positive opinion from the Government and on May 3 this year was submitted as a legislative initiative of the President for consideration by the State Duma. 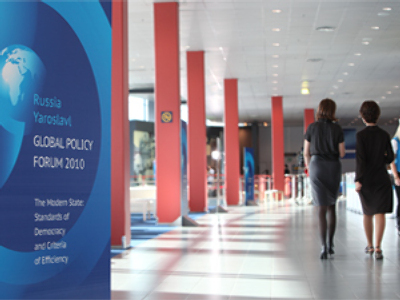 It aims to regulate the peculiarities of the diplomatic service, by which is meant the federal civil service of the Russian Federation in the central apparatus of the Ministry of Foreign Affairs of the Russian Federation, in its territorial units – representations on the territory of the Russian Federation – and in the diplomatic missions and consular agencies of the Russian Federation and the representations of the Russian Federation to international organizations. The bill is intended, on the one hand, to create a legal framework for the effective functioning of the Russian diplomatic service, able to implement the foreign policy tasks of Russia, on the other – to provide a decent level of social protection for its employees. Along with the enhanced requirements set forth in the bill for professional and personal qualities of the diplomatic staff of the Ministry, there is a provision for the establishment of a set of government guarantees which, while not unique either to international practice or to Russian legislation, did not apply to the diplomatic staff and their families, however. It is about some additional safeguards for diplomats working in foreign countries with a complicated sociopolitical environment in times of emergency or armed conflict. The draft federal law “The Consular Statute of the Russian Federation” was submitted to the State Duma of the Federal Assembly of the Russian Federation by the President on January 9 this year. The document had resulted from years of painstaking work by experts from the Ministry of Foreign Affairs, a wide range of interested ministries and departments, and the Institute of Legislation and Comparative Jurisprudence under the Government of the Russian Federation. The dynamic changes in legislation in recent years continue to bring serious adjustments in the work of the Russian consular agencies. It is obvious that the legal support of their activities in protecting the rights and interests of the state, of Russian citizens and legal entities is in need of substantial upgrading. It is about the necessity to replace the now largely archaic USSR Consular Statute of 1976 with a modern instrument, to remove the still existing gaps in legal regulation of the work of the consular agencies abroad and to make it more consistent and clear. 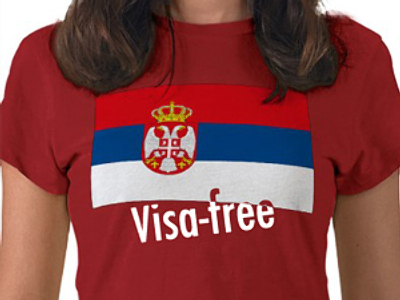 The main aim of the bill is to codify the legal principles of activity of the consular agencies of the Russian Federation, the powers and duties of consular officers, to systematize the key rules of all applicable fields of legislation, to determine the status of consular officers, and to concretize the acts they perform in discharging their functions. It is known that on April 23 this year the bill was passed by the Duma at first reading. We hope that the next stages of its consideration in the State Duma and Federation Council will also be successful. As you know the six nations are constantly interacting with a view to identifying further joint steps to resolve the situation surrounding the Iranian nuclear program. We believe that efforts to engage Tehran in dialogue with the six powers must continue regardless of whether a new sanctions resolution of the UN Security Council on Iran will soon be adopted or not. Preparation of elements of a new UNSC resolution on Iran is a process that requires time. Our signal must be thoroughly verified and receive consensus support in the UN Security Council, otherwise it will not have added value. Russia proceeds from a principled stance that the use of sanctions should be approached carefully and proportionately depending on the degree of cooperation by Iran and not closing the door to the possibility of further dialogue. Moreover, such measures should be aimed exclusively at solving the tasks associated with nuclear proliferation risks in the context of Iran's nuclear program, and nothing more. There is a need for more effort and some flexibility of our partners in the Six, as well as the well-defined accommodating steps by the Iranian side so that a mutually acceptable solution can still be found over Iran's nuclear program. We have received many questions about the NPT Review Conference being held in New York. It is impossible not to note the high expectations that the international community associates with the strengthening of the NPT, which is the cornerstone element of the system of international security. With all the range of situation assessments in this area, perhaps the one thing on which nearly all Conference participants agree is that today's proliferation risks differ substantially from what they were just twenty years ago, and that is why there is so much demand for new approaches to coping with the related problems. The Conference is designed to prepare a package of concerted and realizable measures that would further strengthen the nuclear nonproliferation regime based on the balance between the NPT’s three pillars: non-proliferation, disarmament and peaceful use of nuclear energy. We believe that to achieve significant results will only be possible through joint efforts and goodwill of the states’ signatories. The high-level segment and the general debate drew to a close the other day, and a crucial stage has begun in preparing the draft final recommendations of the Conference. As a state party to the Treaty and one of its depositaries, Russia has pursued a consistent policy of ensuring the integrity and sustainability of, and strengthening and universalizing the NPT. We vigorously interact with all key NPT member states in the review process, especially with the five nuclear powers, in an effort to ensure that initiatives in the field of nuclear non-proliferation and disarmament do not remain on paper, but are transformed into practical arrangements. I have received a request to comment on the United States’ move to publicize data on its nuclear capability, and to say also whether Moscow plans to follow the American example. The move by Washington, according to our judgment, will increase transparency and serve to reinforce trust between nuclear and non-nuclear states. After the START Treaty, signed in Prague on April 8 by the Presidents of Russia and the US, comes into force, we will also be able to consider in practical terms the question of disclosing the total amount of deployed strategic delivery systems and warheads attributable to them in Russia’s arsenal. As you know the last few days has seen some progress in the Middle East settlement process after a long period of stagnation. In the wake of support from the Arab Peace Initiative Follow-up Committee, a meeting of the Executive Committee of the Palestine Liberation Organization on May 8 also gave the green light for indirect Palestinian-Israeli talks. We regard this decision positively. The fact is that after a long break contacts between the parties, if still proximal, began – this is certainly a step forward. We hope that the positions of Israelis and Palestinians in the course of these contacts will be brought closer together, and that the proximity talks in the near future will develop into direct talks. We believe that, despite certain difficulties, the chance for the resumption of the negotiating process between Israel and the Palestinians on the universally recognized international legal basis should be used. It is a “window of opportunity” that everybody in the Middle East has so long been waiting for. We call on the Palestinians and Israelis at the upcoming crucial stage to unconditionally refrain from any unilateral actions and statements on final settlement issues. As to our line in the Middle East conflict settlement, the strategic guideline for Russia was and remains a comprehensive, just and lasting peace in the Middle East. There is no alternative to it, just as there can be no universally recognized international legal basis other than the already existing one for such a settlement. For us these are the fundamental principles that cannot be revised. I have been asked several questions relating to the provision of Russian humanitarian aid to Africa. In this regard, I can note that Russia is giving African nations targeted humanitarian aid. Since 2005 it has regularly made contributions to the UN World Food Program (WFP). We try to gradually increase the amount of such assistance. Our donor contributions for the year 2009 were used to provide humanitarian aid to Guinea ($1 million), Zimbabwe ($2 million) and Ethiopia ($2 million). For the current year, within the limits of Russia’s contribution to the WFP, money has been allocated for food aid to the Democratic Republic of Congo ($2 million) and on account of the earmarked supplementary contribution to Guinea ($2 million). Currently, the Russian Emergency Situations Ministry is delivering these goods to their destinations. Questions of provision of humanitarian assistance to other African countries are also being elaborated. For reference I will say that in 2008 Russia, through the WFP, gave humanitarian aid to Kenya ($2 million) and Ethiopia ($4 million). One-time assistance was provided to Guinea ($1 million) and Zimbabwe ($1 million). The situation in Bangkok remains tense. Despite the Government’s proposed compromise package of measures to resolve the political crisis, mass opposition demonstrations are continuing in the Thai capital. The Foreign Ministry confirms the recommendation for Russian citizens to refrain from visiting Bangkok until the situation returns to normal. We note with satisfaction that the situation in Kyrgyzstan after the dramatic events of early April is gradually returning to normal. The decisions of the national leadership to hold a referendum on the draft of a new Constitution of the Kyrgyz Republic now being discussed on June 27, and on October 10 parliamentary elections concretize the prospect of a return of the domestic political situation into the legal field. At the invitation of the Russian side, Chairperson of the Interim Government of Kyrgyzstan Roza Otunbayeva attended the May 9 military parade on Red Square to celebrate our common holiday – the 65th anniversary of the Victory in the Great Patriotic War. Consultations took place at the Foreign Ministry on May 11 between the State Secretary and Deputy Minister of Foreign Affairs of the Russian Federation Grigory Karasin, and the Co-Chairs of the Geneva Discussions on Stability and Security in Transcaucasia – EU Special Representative Pierre Morel, UN Representative Antti Turunen and OSCE Chairperson-in-Office Special Envoy Bolat Nurgaliyev. During the meeting the current situation on the borders of the Republic of Abkhazia and the Republic of South Ossetia with Georgia was discussed, along with the preparations for the next, eleventh round of Geneva Discussions scheduled for June 8. The Russian side reiterated the importance of achieving concrete results in the elaboration of a legally binding agreement on the nonuse of force between Georgia and Abkhazia and South Ossetia. On the eve of the briefing I received questions from the Japanese newspaper Yomiuri. The first question was phrased thus: Last week, Russian Trade and Industry Minister Viktor Khristenko visited Japan. His meeting with his Japanese colleague ended with the decision to deepen bilateral cooperation in the development and modernization of Siberia and the Russian Far East. The Japanese side made it clear that such cooperation should be developed simultaneously with the achievement of results in political dialogue, thereby indicating the approach in linking economic and political development. What is the position of Russia? Is the Russian side ready to choose nonstandard ways to solve the territorial issue for the development of economic cooperation? Answering this question, I would like to note that we highly appreciate the outcome of the meeting in Tokyo at the end of April between the co-chairs of the bilateral Economic and Trade IGC – our Trade and Industry Minister Viktor Khristenko and Japan’s Minister of Foreign Affairs Katsuya Okada. Discussion focused on increasing the share of high-tech trends in bilateral trade and economic relations – the aerospace sector, petro-gas chemistry, shipbuilding, nuclear power development, power engineering, information and communication technology, pharmaceuticals, etc. The Japanese side also showed interest in developing oil, gas and coal deposits in Siberia and the Russian Far East, in arranging for regular supplies of Russian grain to Japan and in promoting Japanese energy-saving technologies in Russia. The potential of Russian-Japanese economic and trade cooperation is immense. Russia’s market attracts an increasing number of Japanese corporations, as evidenced by the two-fold 2009 growth in Japan’s accumulated investment in Russia, to $8.3 billion. All this occurred despite the global financial and economic crisis. At the same time we would like to emphasize that the development of economic, trade and investment cooperation plays a vital role in advancing the entire range of bilateral relations and creating an enabling environment conducive to the settlement of any, even the most complicated problems. As to the second part of the question, “about linking political and economic development,” then, as I understand it, the Yomiuri correspondent had in mind the thesis put forward by the current Government of Japan about the synchronous development of relations with Russia in the political and economic fields, much like the rotation of the “two wheels of a cart.” In itself, that comparison has impressed us, because it attests, if correctly understood by us, to the desire of Japan’s leadership to give a definite boost to the entire range of Russian-Japanese relations. However, in our view, it would be more correct to compare this complex with a more contemporary and multi-wheel means of conveyance, such as a car, and then in addition underscoring that economic cooperation is rather not the wheel, but the engine of this vehicle, and, figuratively speaking, the more effectively it works, the faster we will be able to reach the goals set by the leaders of Russia and Japan. Yomiuri also wondered whether Minister of Foreign Affairs Sergey Lavrov was planning to visit Japan in the near future. First, we are grateful to the Japanese side for the invitation to our minister, conveyed in a special message of Foreign Minister Okada in January 2010, and then confirmed during the conversation between the ministers on March 30 in Gatineau on the sidelines of the G8 Ministerial Meeting. We presume that the visit will be undertaken as soon as the work schedule of the Head of the Russian Foreign Affairs Agency Sergey Lavrov permits. The specific date will be arranged through diplomatic channels. I was asked: “How do you assess the signing of a Memorandum Granting the Status of SCO Dialogue Partner to Sri Lanka? The Secretary General of the Shanghai Cooperation Organization, Muratbek Imanaliyev, and the Minister of External Affairs of Sri Lanka, G. L. Peiris, signed the Memorandum Granting SCO Dialogue Partner Status to Sri Lanka in Colombo on May 6. The ground for this was the appropriate decision made by the SCO Council of Heads of State at its meeting on June 16, 2009 in Yekaterinburg. Russia welcomes Sri Lanka’s receiving of SCO Dialogue Partner status and the signing of the Memorandum. Its implementation will contribute to strengthening the international ties of the SCO, as well as expanding interaction between the SCO member states and Sri Lanka, primarily in such areas as ensuring security and stability, combating terrorism and developing economic, trade and investment cooperation. Question: In the UK, the new prime minister has officially assumed office. How does the Russian Foreign Ministry assess the prospects of cooperation with the new British government? Answer: The appointment of David Cameron as the UK’s Prime Minister has just taken place. He has set about forming his government. Several appointments to fairly important ministerial posts are already announced. So far we do not have more detailed information on how the British government is going to look as a whole. Once formed, it will announce a program of approaches to solving foreign policy objectives, among them we hope that the prospects of relations with Russia will be presented. We advocate that our relations be further developed and strengthened, and we hope that in our bilateral contacts with Great Britain a new page will be opened. Question: How can you comment on the information that the DPRK has successfully mastered the technology of nuclear fusion? Answer: We have reviewed this information, published in a number of sources. At the moment, we are analyzing it and after some time we will be able to give our assessments. Question: As is known, consultations are still continuing within the Russian-Ukrainian subcommittee. Is there any progress in bringing order to the actions of the Russian Black Sea Fleet in conflict with some countries, for example, as was the case with Georgia? And a second question. It is known that our counterintelligence officers are being sent to the Russian Black Sea Fleet. How does our foreign affairs agency assess the prospect of enhancing cooperation between our intelligence services after the warming of relations between the two countries? Answer: On the first question, I can say that on this issue our contacts with the Ukrainian partners are continuing. We are finding a common language in dealing with these issues. This indicates that there has been a turn for the better in our mutual understanding with the Ukrainian colleagues and generally in our bilateral relations. After the end of the consultations, we will, of course, provide detailed information. Regarding the second question, it echoes my answer to the first question. We hope that we will continue along the path of normalizing and strengthening our bilateral relations with the Ukrainian partners and this will bring something new in our historical ties with that country. Question: In Germany they are actively discussing the situation with the deduction of the Russian veteran pension from the German social security benefit. Our newspaper Noviye Izvestiya got in touch with a number of German leftist parties. This problem really exists. What concrete steps can our Foreign Ministry undertake to resolve it? In addition, during the last briefing you mentioned that some consultations were being held with the German side, and even named the date – April 30. Are there any results? Answer: I have carefully read the new report in your newspaper on this subject. The problem that you mention really exists. At the previous briefing, I said that the Russian Foreign Ministry is involved in the solution of this problem. For our part, we welcome the desire of Noviye Izvestia to sort out this important issue. Whereas the first material of the newspaper in its issue for April 27, 2010 claimed that the German authorities were trying to “take away” Russian pensions from our compatriots who have moved to Germany for permanent residence. Now, Noviye Izvestiya rightly notes that at issue is the fact that German social security bodies reduce the social security benefits to our compatriots by the amount of their established income in Russia. At the same time, let me remind you that the social security benefit is paid to our compatriots in Germany, if they have no other income, by the German side on their application on a voluntary basis and strictly unilaterally. In our briefing on April 30, detailed comments were set out on this score. Once again I will stress that a Russian-German Social Security Agreement now being drafted is intended to resolve the practical issues that arise for citizens in the pension award sphere. I should add that, according to the Russian Ministry of Health and Social Development, acting as the lead agency in this area of bilateral relations, the future agreement, in the perception of the Russian side, should be based on the recognition of equal rights to social security of citizens of a contracting party in the event of their residence in the territory of another contracting party, on the principles of proportionality in the payment of pensions and their “export” to the place of residence of the pensioner and also extend to the issues of social security and pension insurance (old age, invalidity and survivor’s pensions). The consultations that you mention were with our German partners. Now I cannot give you details because of the lack of information, but I take it on a note and will try to provide all the information to your editorial board. Question: Russian Deputy Foreign Minister Aleksey Borodavkin was due to meet today with the Chairman of the Committee on Foreign Affairs of the House of Representatives of the Parliament of Japan Muneo Suzuki. Could you tell us any outcomes of this meeting, and whether a formal statement will be issued in this connection? Answer: Prior to the briefing, I made inquiries on this matter. I can confirm that this detailed meeting between Deputy Minister of Foreign Affairs Aleksey Borodavkin and the Chairman of the Committee on Foreign Affairs of the House of Representatives of Japan’s Parliament, Mr. Muneo Suzuki, has today begun. The agenda includes many of the issues in Russian-Japanese bilateral relations, and the problems associated with contacts between the two parliaments, but at this point Aleksey Borodavkin is still at the meeting – the outcome of which we will inform you.